Is the Hype around QR Codes Overblown? 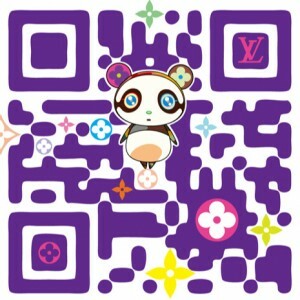 QR Code created by Takashi Murakami for Louis Vuitton. QR codes: that’s where it’s supposed to be at this year. In October 2011, Sam Beckbessinger (Memeburn) wrote that QR codes are ‘a crock’. At the time, she was going out on a limb because digital marketers were seriously punting QR codes as the way of the future. The limb was especially tenuous as her declaration came soon after comScore released figures that supported the use of QR codes. According to comScore, 14 million Americans used QR codes in June 2011 and that the majority of those were men between the ages of 18 and 34 years old. It worked out to roughly 6% of the US population. Similar studies put the number at approximately 5%, which is not too bad for a medium as new as this. Beckbessinger’s reasons for her reticence included the fact that as far as the public at large was concerned, the codes didn’t exist. She cited a survey conducted in San Francisco in which many respondents referred to QR codes as ‘some barcode thingy’, which is not something you want to waste your valuable marketing budget on. People are just starting to get really comfortable with social media as a marketing medium, so this is where marketers should stay. She strongly suggested that marketers hold off until the codes become public knowledge and enough data is available to show marketers when, where and how best to use them. Otherwise it’s a bit like shooting flies with a machine gun – you’re not going to hit that many but the damage will be enormous. Beckbessinger’s views have since been borne out by a recent study by Ypulse, which found that the majority of millennial students don’t have a clue what QR codes and augmented reality apps are. The fact that this technologically in-tune generation has no idea about these trendy marketing methods, and that many of them don’t even care about them, is telling. Once again, the primary problems are lack of knowledge and lack of public buy-in. So, what are marketers to do? They should play to their strengths. And they should tackle only one new technology at a time. So if you’re still finding your social feet, don’t rush to get a handle on QR codes. You’re likely to lose your grip on everything and your half-baked strategies will flop lower than a badly made soufflé. About author: Sandy writes on behalf of SARAD, a South African-based media and advertising directory. The free web application offered by www.learniply.com uses QR Codes placed in public locations such as art galleries, museums, zoos and nature parks, to allow anyone with a smartphone to locate information related to their current location. This information is created through your free learniply account, and can include anything from information about a nearby exhibit to interpretive or way finding information.